Jamal Khashoggi, a prominent Saudi journalist and critic, went missing after visiting the Saudi consulate in Istanbul last Tuesday. Turkish officials reportedly believe a 15-member team “came from Saudi Arabia” and carried out a “preplanned murder” on him. The New Yorker reported on Sunday that Khashoggi had feared for his life since at least August this year. Turkey has reportedly asked for permission to search the consulate as its president said he was “still hopeful” that Khashoggi was alive. Canadian officials have expressed concern. US State Department officials are reportedly frustrated by the lack of a substantive response to Khashoggi’s disappearance. Jamal Khashoggi, the missing Saudi journalist and critic whom Turkish officials say was killed in the kingdom’s Istanbul consulate, feared for his life as early as August. The 59-year-old journalist, who contributed to The Washington Post, had been “convinced” in August that the Saudi Arabian leadership was out to kill him, The New Yorker’s Robin Wright wrote on Sunday. Khashoggi lived in self-imposed exile in the US for the past year and vanished last Tuesday while visiting the Saudi consulate in Istanbul. He had been trying to obtain a document to verify his divorce so that he could remarry, the BBC reported. His fiancée, a Turkish woman named Hatice, said she waited for Khashoggi outside the consulate from 1:00 p.m. local time until after midnight, and did not see him leave, the BBC said. She also returned when the consulate reopened the next day. Turkish investigators believe a 15-member team “came from Saudi Arabia,” and that “it was a preplanned murder,” The Washington Post reported, citing an unnamed person who has knowledge of the investigation. Turan Kislakci, a friend of Khashoggi and the head of the Turkish-Arab Media Association, told the Associated Press that Khashoggi was made to “faint,” and was dismembered. This allegation was based on conversations with Turkish officials he did not name, the Associated Press said. Meanwhile, Saudi Arabia – whose hardline crackdown on dissent has intensified over the past year – has denied knowledge of Khashoggi’s disappearance. Erdogan, however, said he was “hopeful” that Khashoggi is still alive. Turkey has reportedly asked for permission to search the Istanbul consulate. Mohammed bin Salman, the 33-year-old crown prince of Saudi Arabia known as “MBS,” has denied knowledge of Khashoggi’s disappearance and even said he would let Turkish investigators search the Istanbul consulate. “We have nothing to hide,” the prince said. 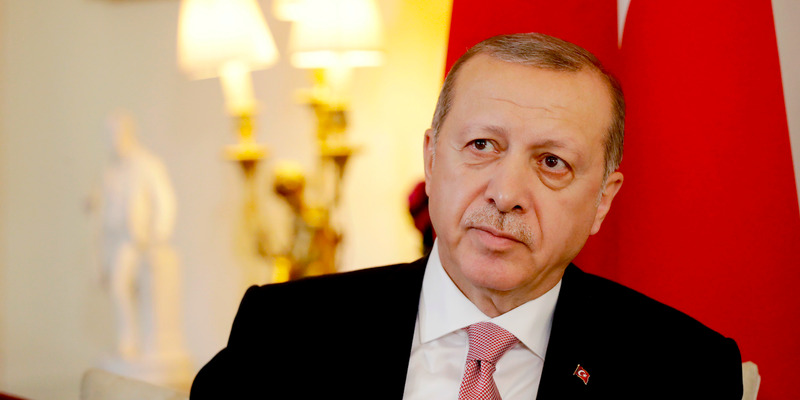 Matt Dunham – WPA Pool/Getty ImagesTurkish President Recep Tayyip Erdogan said he was ‘still hopeful’ that Khashoggi was still alive. Erdogan, Turkey’s president, said he was personally following news of Khashoggi’s incident and that he was “still hopeful” that the journalist was alive. He told reporters on Sunday, according to Al Jazeera, that Turkish authorities were examining all surveillance video footage of the consulate’s entrances and monitoring flights to and from Turkey since Khashoggi’s Tuesday disappearance. “It is very, very upsetting for us that it happened in our country,” he added. 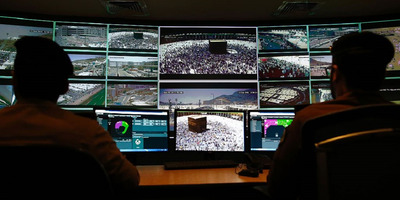 Turkish authorities on Monday requested permission to search the Saudi consulate, Reuters reported, citing local media. The country also summoned Saudi Arabia’s envoy to the Turkish foreign ministry, and asked him to be “in full coordination” on the probe, Reuters said. 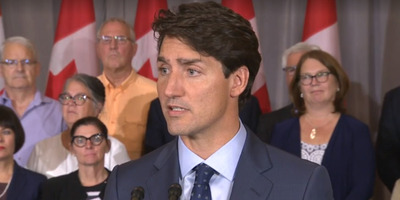 Screenshot/Global News CanadaCanada and Saudi Arabia are locked in a diplomatic feud after Ottawa said it was concerned about Riyadh’s human rights record. Khashoggi’s disappearance comes amid a diplomatic feud between Riyadh and Ottawa, which came about after Freeland said she was “gravely concerned” about the country’s human rights record. Saudi Arabia retaliated by cancelling flights to Canada, recalling thousands of students studying there, cutting investment, and making bizarre allegations that Canada was one of the world’s worst oppressors of women. The US has not issued any official statement, but officials from Secretary of State Mike Pompeo’s office are frustrated with the lack of a substantive response to queries about Khashoggi’s fate,The Washington Post reported, citing unnamed administration officials. 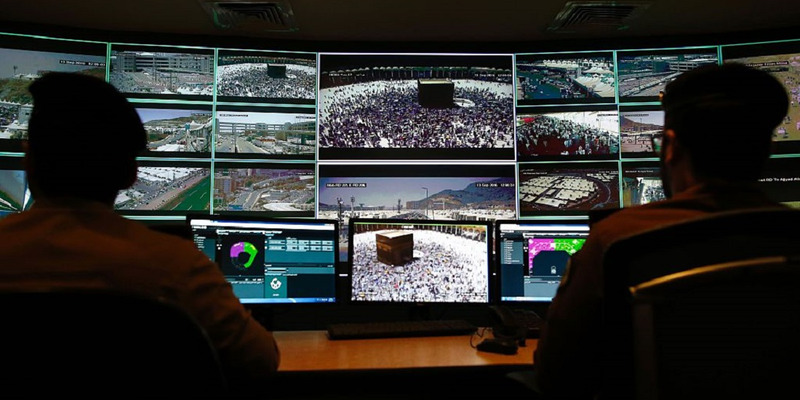 AHMAD GHARABLI/AFP/Getty ImagesSaudi soldiers monitor surveillance on pilgrims in Mecca in September 2016. Earlier this month researchers in Toronto reported that agents working on behalf of Saudi Arabia were secretly installing spyware on people’s smartphones to crack down on critics living abroad. The spy software enables hackers to access messages, photos, microphone, and camera, researchers at Citizen Lab reported. The software had been actively monitoring targets in countries including Canada, France, Jordan, Turkey, Qatar, and the UK. There is no indication at this point that Khashoggi was targeted by such software. The kingdom’s crackdown on dissent has hardened since Mohammed bin Salman’s appointment to Crown Prince in 2017. In August, the country arrested the family and friends of Omar Abdulaziz, a prominent Saudi critic living in Canada, in an effort to stop him from speaking out against the regime. Around the same time, the kingdom sentenced a woman to death for political activism for the first time.